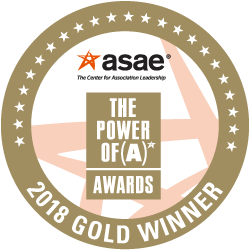 American Occupational Therapy Association, American Physical Therapy Association, and the American Speech-Language-Hearing Association have earned a 2018 ASAE Power of A Gold Award for their collaborative Stop the Cap campaign, a strategic initiative to repeal the per-patient financial cap that was placed on outpatient Medicare therapy services in order to ensure some of the most vulnerable patients in our society have access to therapy services. ASAE honored the campaign for its initiative to protect some of our nation’s most vulnerable patients. Success was finally achieved in February 2018 with the passage of the Bipartisan Budget Act of 2018. This law included the permanent fix to the therapy cap and was the result of a bipartisan, bicameral effort and represents one of the few major health policies that Congress adopted in the 2017/2018 session. Between 1999 and 2016, Congress acted 16 different times to pass temporary moratoriums or extensions to the exception process. Each of these Congressional actions was the result of significant grassroots initiatives, political action efforts, lobbying, and media campaigns to stop the cap. The coordinated lobby efforts on the therapy cap went on for so long and were so intense that the issue became identified with the rehabilitation and disability community in Washington, DC, over two decades. The Stop the Cap campaign involved more than 40 associations, many of which were members of the Therapy Cap Coalition, and patient groups. These associations came together to combine and focus their expertise and resources to do away with the arbitrary limit placed on Medicare beneficiaries. The campaign involved dozens of lobbyists, communication professionals, and senior leadership of these associations as well as significant numbers of members, and human and financial resources.